Public relations is human dynamics. It’s the bridge between a brand and its consumers. Sometimes it’s a difficult bridge to build when the brand is intent on self-promotion and hard-line marketing. But when there’s a story to tell that resonates with the public, when the brand is sincere, and the message rings true, public relations happens organically, and the bridge becomes a smooth connection. Home Federal Bank is building bridges in Knoxville, Tennessee. Founded in 1924, Home Federal is Knoxville’s largest locally owned bank. With over $200 million in capital above the most stringent regulatory requirements, Home Federal is classified in the highest possible category for financial strength. Perhaps more importantly, Home Federal has heart. The bank has been a compassionate corporate citizen in its hometown for over 80 years, contributing nearly $880,000 to local charities last year alone. Savvy cause marketing, right? The truth is that’s just the way Home Federal does business. Senior management understands what Marketing Guru Trey Pennington calls the “three-fold human hunger” to be heard, seen and understood. 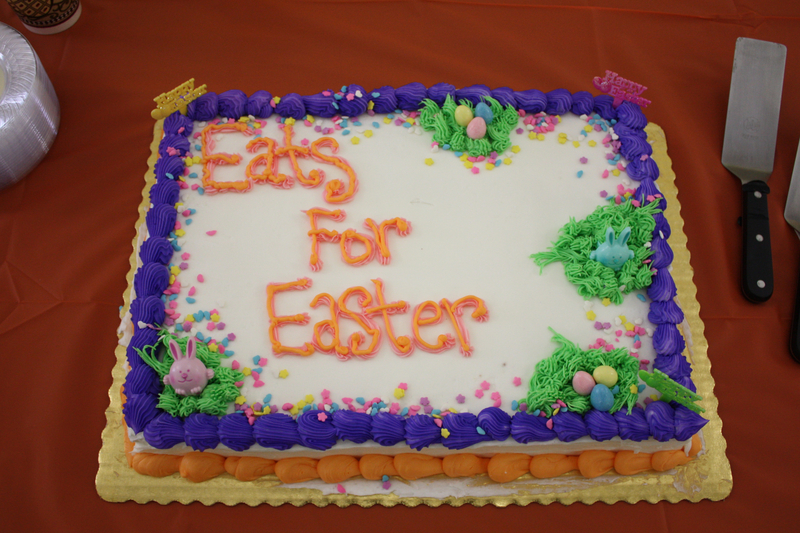 Eats for Easter is a new initiative sponsored by Home Federal. The bank donated $10,000 toward the purchase of Food CityGift Cards to YWCA Knoxville and the YMCA of East Tennessee to help families in need celebrate Easter. The program is designed to support women in crisis and families in transition at a time of year that is less visible than the Christmas season and traditionally generates less giving. And Knoxville is a better place because of Home Federal. Be innovative, interesting and news-making. Be integrated with consistent messaging across platforms. Be credible – that means human, honest, humble and helpful.